I’m excited to announce that I will be guest blogging for online retailer SurfSitch’s fashion blog, This&That. Over the next couple of weeks, I'll be sharing some of my SurfStitch favourites in a series of style posts. 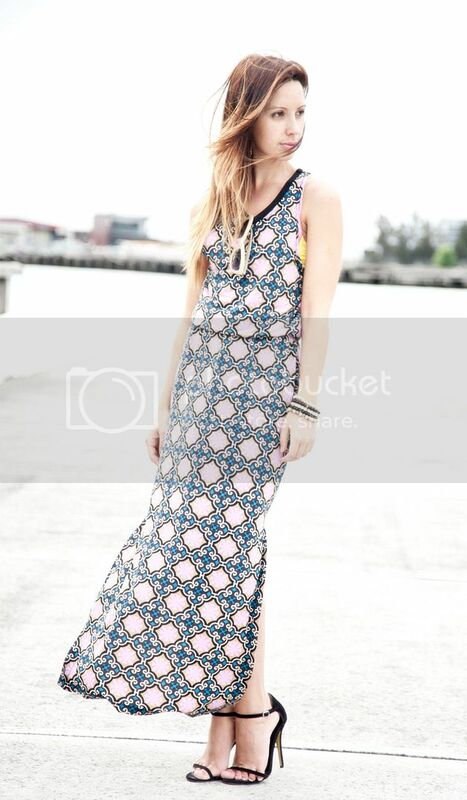 This Tigerlily maxi dress, with retro print and knee-high splits is the first of my SurfStitch summer must-haves. This stunning maxi dress falls beautifully and works just as well dressed up as it does dressed down with a cute pair of summer sandals. The perfect day to night dress. Next I'll be sharing with you the perfect denim shorts.